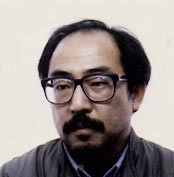 1981 Graduated from Aichi Prefectural Seto Pottery School. 1984 Tokoname Municipal Museum of Folklore, Tokoname. 1997'98'99 Westbeth Gallery Kozuka, Nagoya. 2001 Westbeth Gallery Kozuka, Nagoya. 2003 Westbeth Gallery Kozuka, Nagoya. 1981 Japan Ceramic Art Exhibition, Tokyo. 1981'82 Choza Ceramic Art Exhibition, Tokoname. 1982 Emba Art Award Exhibition, Hyogo. 1983'85 TOKONAME / SHIGARAKI Exhibition, Tokoname, Shigaraki. 1986 MIZUNOYUKUE, Gallery ISOGAYA, Tokyo. 1986 THE VESSEL'86, Gallery Maronie, Kyoto. 1996 Canned Art Exhibition, Westbeth Gallery Kozuka, Nagoya. 1999 Usagi usagi nani mite haneru, Westbeth Gallery Kozuka, Nagoya. 1987 Sagamiohno Green Hall, Shigamihara.